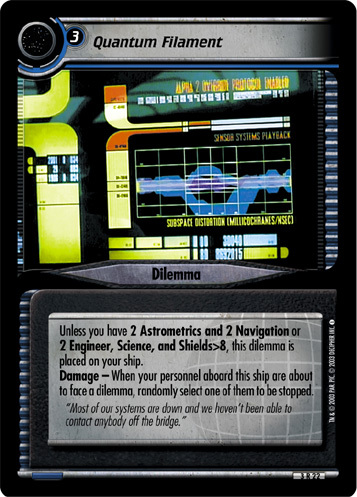 Unless you have 2 Astrometrics and 2 Navigation or 2 Engineer, Science, and Shields>8, this dilemma is placed on your ship. 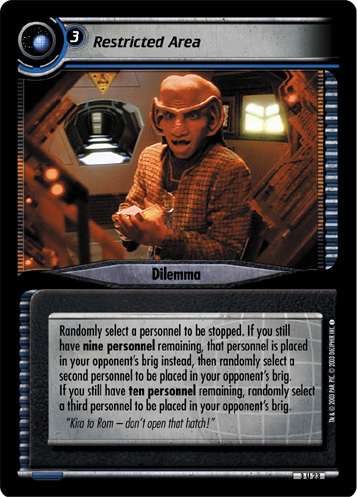 Damage - When your personnel aboard this ship are about to face a dilemma, randomly select one of them to be stopped. 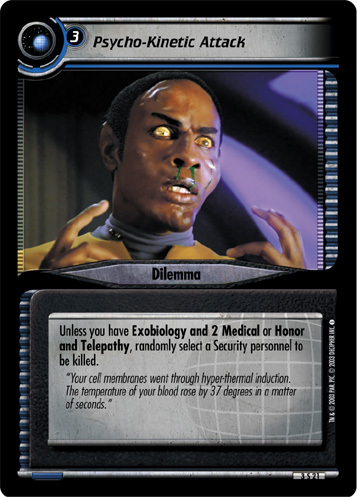 "Most of our systems are down and we haven’t been able to contact anybody off the bridge."